According to a blog post published today by the company, the Waltonchain parent chain will be postponed. The reason behind the delay is the reviewing of the tech by a third-party code audit company. With only one day of notice until the now invalid date, Reddit is not pleased. The Waltonchain Foundation announced that the audit will be carried by Knownsec, a Tencent – based firm that provides services for government and companies. Per the blog post, audit time is expected to be one and a half months. 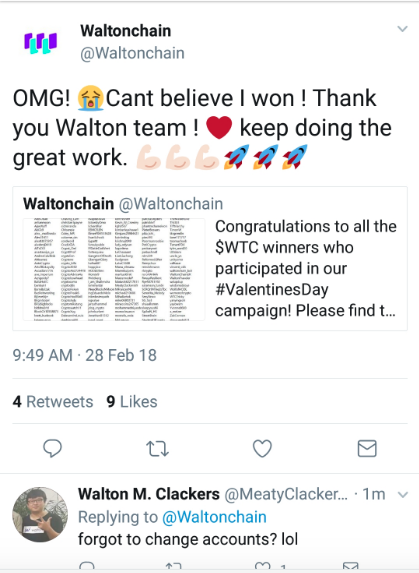 Have you invested in Waltonchain (WTC)?